Anyone interested in perfume or fashion trends for that matter has heard about Byredo or/and founder Ben Gorham. 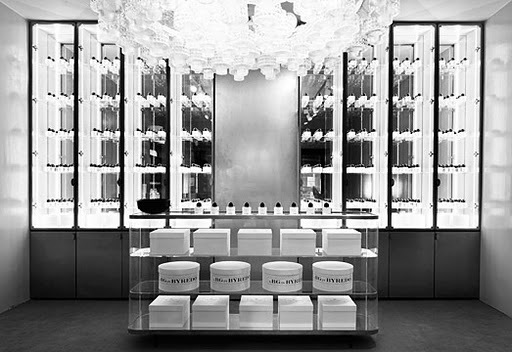 Anyone who has been in Stockholm during the last five years has probably at some point been embraced by a soft Byredo-hue as the brand’s fragranced candles and bathroom products are loved by hotels and restaurants here. I love that. Not just because a lot of places now smell great, but because it is a nice sort of token of local appreciation. 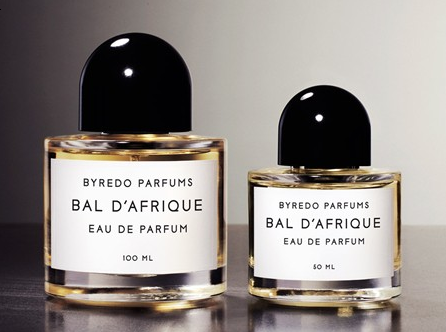 Byredo has become the signature scent of the Swedish capital. However, as you might have noticed, not only Swedes love Byredo. Sweden is in fact not even one of the larger markets, both the US and France are stronger markets. This is probably unfortunately partly due to the fact that Sweden does not really have a tradition of fine perfumery. People are super-clean, yes, Swedes smell like freshly washed laundry. We have great teeth and saunas everywhere. Perfumes sell, but there is no luxury perfume culture to talk about. Now, in post-Gorham Sweden perhaps, in some places. But generally, no. There are some of us who would gladly spend our lives changing that though. (Thus this blog for example). So. What’s so cool about Byredo? One thing is definitely the ability to combine the traditions and heritage of fine perfumery with a very contemporary twist. Not to forget that everything about Byredo is extremely aesthetic, with a graphic profile that has been carefully created to communicate elegance but not steal the fragrance’s voice. The company works with storytelling around the fragrances, ingredients and around Ben Gorham. This is something that could be done even more I think. It is very refreshing to see perfume rhetorics that are not just empty clichés. There is also something about the brand and communication, and the business that is dynamic and interesting. In the first couple of years most of what you heard about Byredo had to do with collaborations, for example with Acne (also Swedish) and hotels. The collaboration-theme has continued with Fantastic Man being one of the best examples. One of the first places to sell Byredo was Colette in Paris, a result of Ben contacting them to ask if they wanted to have a coffee and see his products. 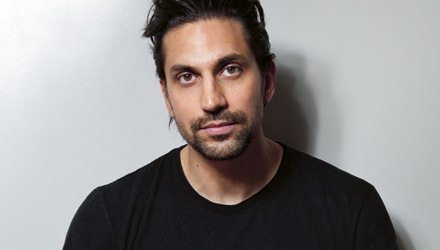 From the beginning Byredo’s founder Ben Gorham has been a big part of the Byredo story in media. No wonder, his background, style and character seem to made for it. Brought up in Stockholm, Toronto and New York but with roots in India. He had a career as a pro in basketball, studied architecture. Covered n tattoos, famous for his humble and kind appearance. You sort of know this is a person who can offer some truly great conversation. I have never met Ben but I do hope that I will have the occasion someday to talk with him about fragrances and the stories around them. Continue reading for some interesting facts about Ben and the history of Byredo, as well as some beautiful quotes gathered from various interviews. Byredo’s first fragrance was Green, a memory of Ben’s father’s perfume two decades earlier. It was created after Wulff introduced Ben to noses Jerome Epinette, in New York, and Olivia Jiacobetti, in Paris. The Swedish influence Ben says, shows itself for example in the minimalistic approach to ingredients – Byredos fragrances have a lot of character but few ingredients compared to others. – When my interest in perfumes had been awakened I discovered that all perfumes smelled almost the same. 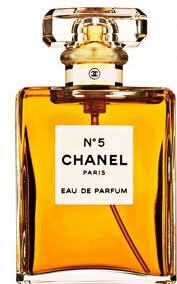 I spoke to perfumers who explained that the big perfume houses often used up to 60 ingredients in each fragrance. I chose to create fragrances with as few ingredients as possible to give them a different kind of definition. I would rather that a client hates or loves our fragrances than stands there indifferent, says Ben. Byredo fragrances are unisex with a clear intention. Ben has explained in interviews that he sees the gender division of perfumes as something of a marketing tool and commands men in France and England who proudly put on a flowery fragrance. – In the west, the rose is considered to be feminine. In the east however it is masculine. In Rose Noir I thought of a black rose that could be for both, a rose that you pull up with the roots from moist soil and that gives you a dark, earthy rose perfume. Byredo is currently present in about 20 countries all over the world. Which fragrance sells best, differ. Gypsy Water is the best-seller in the US, Bal d’Afrique in Europa. Swedes like Blanche, a fragrance that Ben created for his girlfriend Natasa. There are many things that are cool about Byredo. But I think there is one in particular. It is the fact that there IS a Mr Byredo. Just like in the old times when the perfumer was the face of the perfume house and the name of the house was the name of the nose…and each scent, each note meant something to this person. In a time of cold fashion labels, huge teams and even worse…an arbitrary well-selling celebrities name on a bottle – it is not insignificant that there is a person who fronts a company created out of a deeply personal vision, who takes responsibility for the products and who generously shares hos thoughts on fragrances, company building, life, the world. This kind of openness and generosity is never unsignificant. It makes every single bottle of perfume special. Made with an intention. And that does make it feel better – and more – wearing it on your skin. I have a profound aversion when it comes to the copywriting in the perfume industry. Also for this reason I appreciate Byredo’s effort to actually tell a real story. So here are a couple of examples of perfume like Byredo tells it. One is the description of Seven Veils, the latest perfume, and the other is one of my favorites Bal d’Afrique. 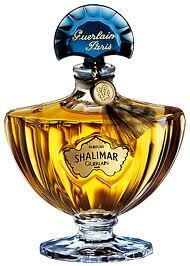 A warm and romantic vetiver inspired by Paris in the late 20’s and its infatuation with African culture, art, music and dance. A mix of the Parisian avantgardism and African culture shaped a unique and vibrant expression. The intense life, the excess and euphoria is illustrated by Bal d’Afrique’s neroli, African marigold and Moroccan cedar wood. The name? Byredo is created by Shakespeares phrases ’by redolence’ and ’by reminiscence’.